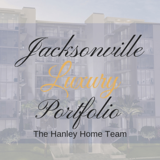 The Jacksonville Luxury Portfolio is the living place you desire in your imagination. You can find the absolute beauty in Northeast Florida. We have the perfect combination of the bewitching natural beauty and the super-strong construction. This is the ideal place you opt for and we offer luxury homes and condominiums. Customer’s satisfaction is our utmost priority and it is our guarantee that you will be satisfied. The perfect luxury with the waterfall, terrace, pool and deck, gym, clean outdoor area, high-speed wi-fi are the reasons of our success in becoming the best real estate agency in the area. We offer fast and responsive service at your doorstep 24x7. Not only that, if you want to sell your property then we are happy to be at your service. Check us out on our website.